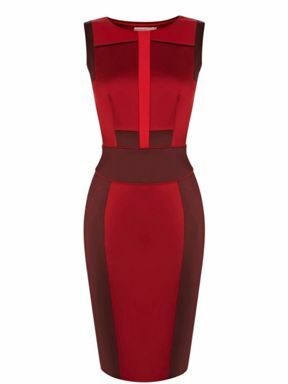 This Colourblocked signature stretch satin pencil dress with tonal panelling and piping is definitely a top Christmas dress. This lovely red dress currently goes for £175. 2. This blue long sleeve slinky jersey dress by Pied a Terre can be found in House of Fraser. It goes for £189. 3. 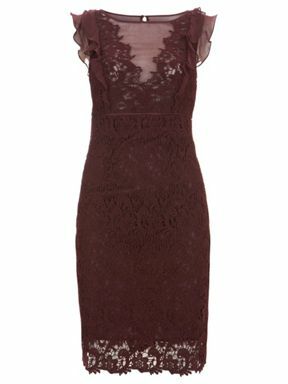 This wine sheer lace and ruffle dress by Mint Velvet is perfect for this party season. A head turning dress in a beautiful lace with sheer panel neckline & back detail with a soft ruffle shoulder. You can get this beauty for £129 at House of Fraser. 4. This Sophette Pop on Geo Lace Dress by Coast currently goes for £145. You can get this dress from Coast or Asos. 5. This lovely olive green Behnaz short dress by Coast currently goes for £145. You can get this beauty from Coast or Asos. 6.This peach embellished panel cross front by Little Mistress is so feminine and super flattering. You can get this dress for £55 from Asos – Good deal. 7.This black belted bodycon dress with chiffon drape and metal plate detail is by Asos Collection. This lovely black dress is quite affordable at £45. 8. 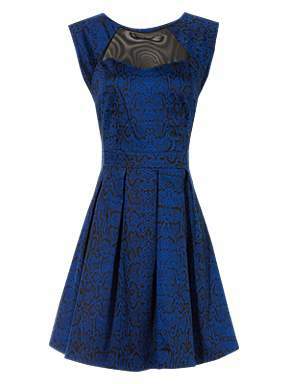 This super stylish snake print skater dress by Jane Norman features a wild snake print in black and electric blue, a black mesh detail, a fabulous skater shape and a cool gold coloured zip detail on the back. You can get this dress for just £17, it is currently on half price. This sparkly embellished waistband makes this dress a flattering cocktail choice. You can pair it with a Chandelier earrings and elegant black court shoes – Divine. You can get this dress at House of Fraser for £130. 10. 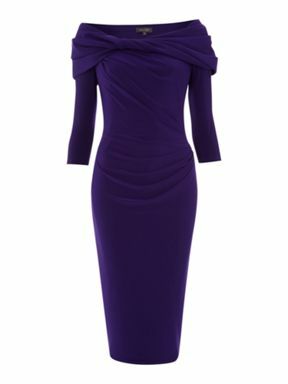 This purple cowl front batwing sleeve dress is by Biba. 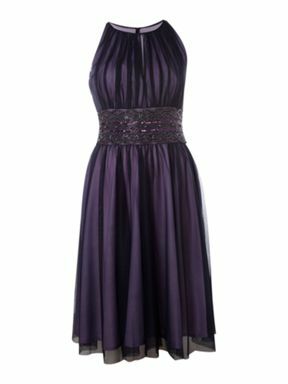 This divine dress is currently at half price at House of Fraser for £67 – Wow.